How to control the dimensions of the calendar. Sets the height of the entire calendar, including header and footer. Sets the height of the view area of the calendar. Sets the width-to-height aspect ratio of the calendar. Immediately forces the calendar to readjusts its size. 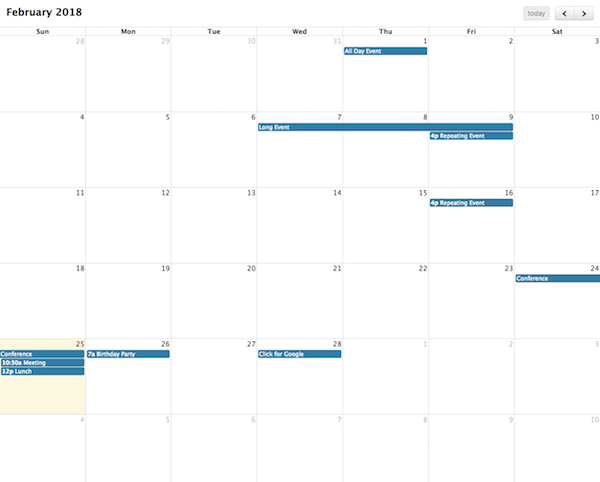 Whether to automatically resize the calendar when the browser window resizes.